Synopsis: The novel ""Envy"" provides a humorous look at the individual's struggle with an increasingly industrialized society. 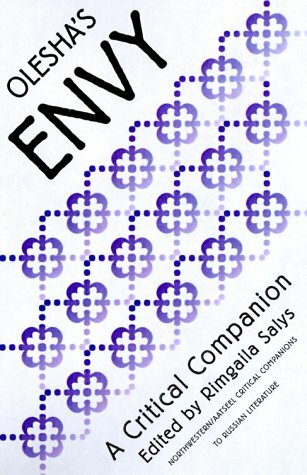 This critical companion, edited by Rimgailia Salys, aims to acquaint readers with the history, biographical context, critical reception and interpretation problems related to the novel. It also helps the first time reader decipher some of the text's more difficult features, including its shifting narrators and fluid boundaries between dream and reality. About the Author&colon; Salys is a professor of Russian in the Department of Germanic and Slavic Languages and Literature at the University of Colorado at Boulder.